Rodolphe Kreutzer was an important violinist-composer in his own day. His legacy to today’s violinists is not limited to the 42 Studies (alsocalled etudes” or caprices”), but they are certainly the best remembered of his works. 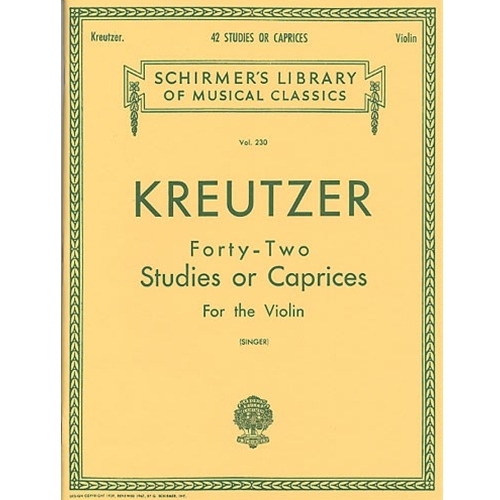 Few students of the violin have advanced without spending some time with Kreutzer’s 42 Studies! The International edition of this work isedited by Ivan Galamian.